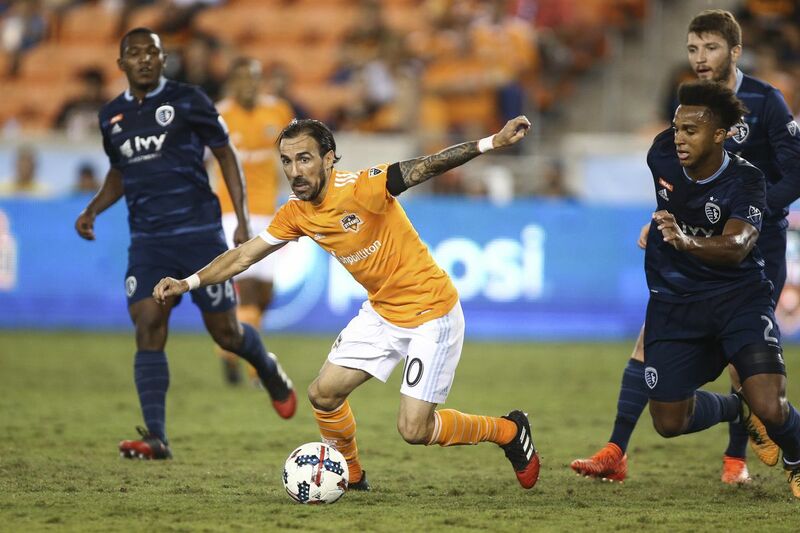 Refereeing may be a hot topic this week in Major League Soccer, but let’s save ourselves from that headache – because its not going to change any time soon. This week was another tale of home dominance in MLS. Sebastian Giovinco lead Toronto FC to the only away points awarded to a team in Week 7. Penalties were the only difference in two games this weekend. Chris Wondolowski slotted his home for San Jose over Kansas City and Kei Kamara’s penalty took Columbus past Houston. Philadelphia rose to the top of the Eastern Conference with another goal from CJ Sapong. 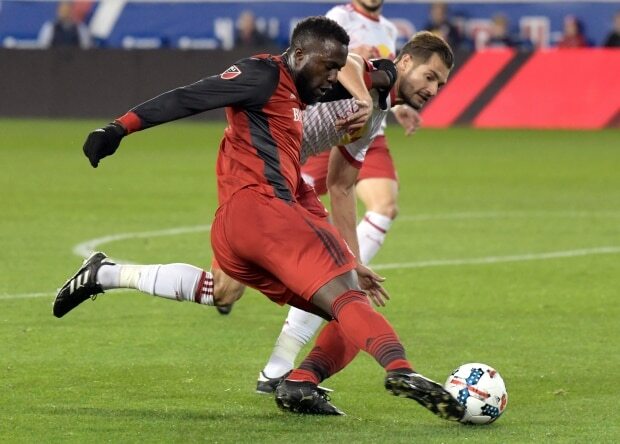 DC United and Vancouver both put three goals past their opponents in fine victories for two teams bouncing back from difficult beginnings to their season. Muscles were flexed when the LA Galaxy broke down the undefeated Real Salt Lake side Saturday evening. Emmanuel Boateng was the surprise catalyst for the five-time MLS Cup champions with the game-winning goal and two assists. An early 5th minute Giovani dos Santos penalty kick that was saved by Nick Rimando let you know that things were going to be entertaining for the rest of the match. Rimando is well known for his penalty saving abilities and made it look easy on his 400th MLS regular season appearance. The Galaxy had two more chances to put away the first goal of the evening. Dos Santos nailed the post and Mike Magee scuffed a 1v1 chance with Rimando. Both players would later make up for their lost chances, thanks to Boateng. Juan Martinez, possibly better known as Burrito Martinez, placed a delicate header into the Galaxy net against the run of play. Brian Rowe’s miss touch in the back lead to a moment of weakness for the home team. Like awaking a sleeping giant, the Galaxy rose to the new challenge of playing from behind. Gyasi Zardes picked up his fourth goal in five games with a technical individual run and strike outside the area. Boateng ran riot on the left wing against two time MLS All Star Tony Beltran. The January signing for the Galaxy opened up the Salt Lake backline with his darting runs on the ball. The first assist provided to Mike Magee was inch perfect from escaping the intercepting fingertips of Rimando. Boateng made a hard run into the goal area to set up Dos Santos for his spectacular chip of Rimando. The game-winning goal for Boateng came from a rare inside run from the winger. A misplaced touch from Zardes was a perfect layoff for the Ghanaian who toe poked it in from the penalty spot. MLS veteran Javier Morales entered in the second half to boost RSL. He would score from the spot after Daniel Steres held back Yura Movsisyan. The Galaxy would close out the match with a slick Steven Gerrard finish. The English midfielder fainted a shot and walked the ball into the goal area for the finish. It is Gerrard’s third goal in 18 MLS matches and first of 2016. A disappointing result for Real Salt Lake, but the only blemish to their strong start to 2016. Once fully fit, this RSL team could be a heartbreaker to draw against in the playoffs. LA is off to one of their better starts in recent years, even with the absence of their captain & MLS MVP Robbie Keane. They will become more dangerous as the season progresses. Watch out. The New York Red Bulls played like a team that had in fact drank Red Bull before entering the field. Shrugging off missed opportunities and an early deficit, New York rejuvenated their form with three fine goals in the second half. Orlando came out to play in a 4-4-2, a formation that allowed Kyle Larin & Julio Baptista to start on the field together. Larin casually scored the opening goal after only the 3rd minute of play. Rafael Ramos provided the assist from an uncontested cross from the right wing. The Lions were able to survive a 15-shot outpouring from the Red Bulls in the first half and took a 1-0 advantage into the locker room. Larin was tackled from behind by Karl Ouimette when the striker had a clear path towards goal. The leading scorer for Orlando City was not given the call and two minutes later, the Red Bulls moved down the field and scored their first of the evening. Sasha Kljestan turned provider to Mike Grella after the Lions gave the midfielder space at the edge of the goal area. It was Grella’s second goal of the season and would help give the Red Bulls the lead in a matter of minutes. A lofted free kick to the far edge of the goal area was brought down by Dax McCarty and set up for Grella. The attack-minded winger chipped the ball to the back post where Bradley Wright-Philips opened his 2016 scoring account. The ball seemed bound for the inside of the goal and Wright-Philips was there to make sure it made it on time. With confidence surging, the Red Bulls made it 3-1 with a cross from the right wing. It was similar to the opening goal of the game, only this time it was Lloyd Sam’s cross into Wright-Philips’ stride for the tap in. It was the 53rd Red Bull goal in all competitions for Wright-Philips, who is 9 away from Juan Pablo Angel’s club record of 62. Orlando gave itself some hope with an own goal that pinged off of Ouimette’s thigh and into the Red Bulls goal after the 84th minute. Nothing would come of their chances and push for an equalizer. New York finally has their second win of this season. It was a promising display against another Eastern Conference team that they may be battling for mid table positioning with in the fall. Orlando almost self-destructed in the second half, but was lucky to weather the storm in the first half. Orlando repeats their past two matches – New England and New York – only at opposing venues. Kaka’s return from injury in doubt, this may be a bit of a rough patch for the boys in purple. Let me repeat that: Colorado 3, Seattle Sounders 1. Jermaine Jones’ early gave the Rapids an early lead and they never looked back. Jones continues his catalytic influence to each team that he represents. The US international opened the scoring on the day with a downward header from a Shkelzen Gashi free kick. Seattle was without the attacking options of Clint Dempsey and Nelson Valdez due to injury. Herculez Gomez started his first game for Seattle. The World Cup veteran only managed one effort on goal in his 71-minute appearance. The Rapids made it 2-0 with a simple long ball to Dominique Badji. His cross met the sliding path of Luis Solignac in the 6-yard area for the finish. Stephan Frei was left hopeless and between two minds after the backline was left flat footed. Jordan Morris provided one highlight for the Sounders in the second half. His darting run into the goal area was capitalized with a far post roller that eluded Zac MacMath. Colorado was awarded a penalty in the 67th minute. Bobby Burling was held back by Gomez from an incoming corner kick. After arguing over who should take the kick Gashi placed the penalty softly to his left. Stephan Frei anticipated well and made the save look easy. Jones was the second party in the penalty kick discussion for the Rapids. It will be interesting to see who takes the next penalty for Colorado. The Rapids did tally on a third and final goal. Kevin Doyle returned for the Rapids in the second half and scored from an offside position. 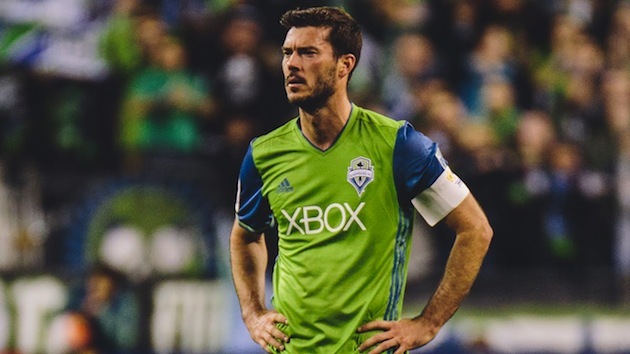 Brad Evans was sent off following Doyle’s goal in the 86th minute. It was a double booking for dissent. Evans was arguing his case for the offside call to be made and may have shared too many of his stronger feelings with center referee Jorge Gonzalez. Seattle will look to bounce back in form with three of their next four matches at home. The Sounders sit unusually second from bottom of the Western Conference. The return of Dempsey to the XI is doubtful for this weekend. Colorado (5-2-1) is enjoying their surprising many with their run of form in the opening of this season. This is the best start to a Rapids season through eight games since 1999 when the Rapids won seven of their opening nine matches.